From 1986 to 1992, America was captivated by the Gorgeous Ladies of Wrestling, a campy, off-the-wall comedy-wrestling series featuring an exclusively female cast of wrestlers. The ladies were split up into “good girl” and “bad girl” parts and were required to always be in character. 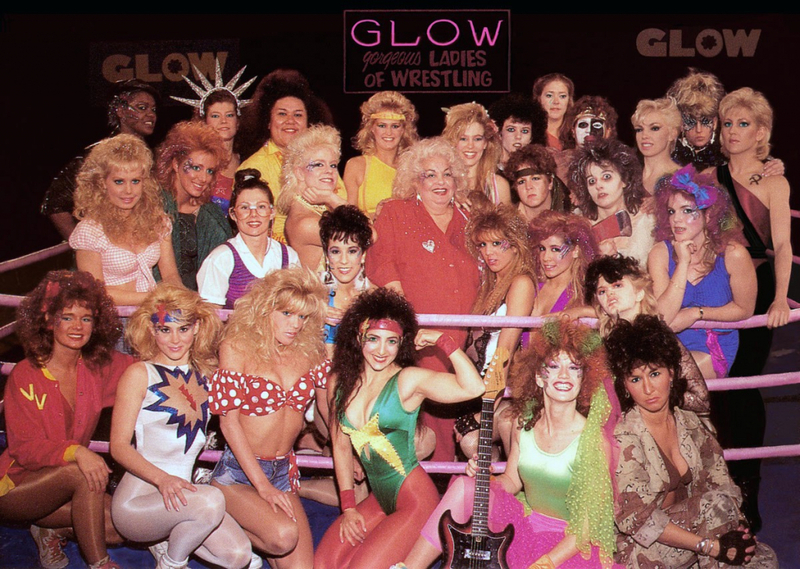 The popular 2017 Netflix series GLOW is inspired by the lives of the original wrestlers. It’s been over 30 years since the original series debuted, so let’s catch up with some of these gorgeous ladies and see where they are now. Jeanne Basone was cast the “bad girl” character “Hollywood” on the show, and usually lost because of that. After the end of the show, Jeanne did some modeling, acting, and continued to do some underground wrestling. In the mid-90s, she created her own production company, making custom photos or videos for her fans. She has continued to wrestle, including private wrestling lessons for fans. In addition to playing “Babe, the Farmer’s Daughter,” Ursula Hayden also played the characters “The Princess of Darkness” and “Donna Matrix.” Following the end of the show, Ursula purchased the G.L.O.W. company in 2001 and holds the rights to many of the episodes and the official website. She sells the original G.L.O.W. episodes on her website. Ursula has also produced, directed and is a consultant on the Netflix TV series GLOW. Ursula appeared on the television reality show The Bachelor, to train eight of the women how to wrestle so they could put on a wrestling match for the show.